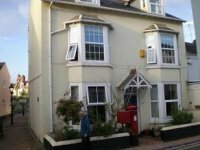 The following listing is the previous version of properties on the Shaldon Devon Website. This page will be changing into the new format shortly. A beautiful and imaginative brand new designer house -overlooking the River Teign , with river views from all the main living spaces , yet still an easy walk down stream to the village centre. 4 Large reception rooms, kitchen/diner, games room, fully enclosed and gated private gardens, and four large ensuite beautiful bedrooms. Riverside house with spectacular views from the upside down accomodation.Quality furnishings, ample parking sleeps 6, private garden, 10mins walk to the village. Beautiful garden lovers cottage for two - for that special escape! Open all year. 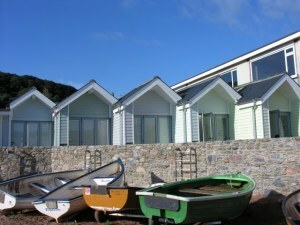 Discovery Holiday Homes has a selection of great properties throughout South Devon, sleeping 2 to 16 people. Coast cottage is exceptionally well equipped. The comfortable lounge has beamed ceilings, a settee which converts into a double bed, television with video, stereo, living flame gas fire, coffee table and a fold-up dining table. Other facilities include gas central heating and telephone (incoming calls only). 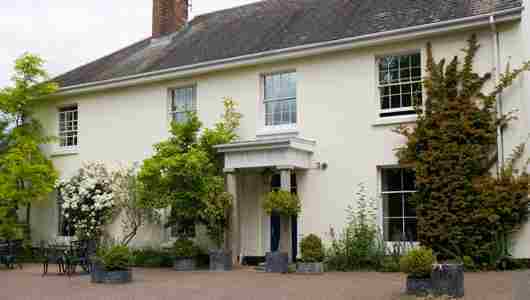 Centrehouse is a 4starspacious Grade 11 listed 18th Century large house. Excetionally well furnished to a high standard with excellent views over the River Teign, harbour and Moors, with a well kept private garden. The house sleeps 8 people comfortably. There are two bathrooms. Gas and Electricity are included. Cot, baby listeners and high chair are also available. Parking. Sorry no pets. Please respect our chalet and contents as this is a privately owned family holiday home mostly used by ourselves. 1 Bells Court is a delightful, newly refurbished apartment on the first floor of the "Old Post Office" in the heart of the village. 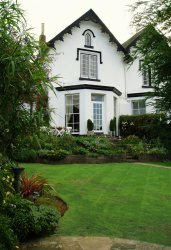 Situated just off the village green, and a 30 second walk from Shaldon river beach. Come and stay in one of our fabulous, modern or Georgian homes, Fishermans cottages, unique Beach Huts or self catering apartments. Enjoy an idyllic waterside experience, perfect for weekly and short-term breaks.Dine at one of the many gastro pubs and restaurants. Relax, unwind and watch the sun go down... heaven. Enjoy spectacular views from one of our delightful holiday homes on the beach riverfront in Teignmouth with panoramic river, Shaldon and Dartmoor views. The properties are fully equipped for up to 7 ( + cot ) in three bedrooms. Parking for one small car. 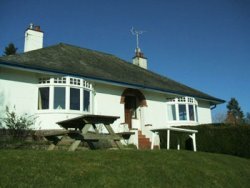 Headlands has Self Catering Accommodation for 6 people. The Lounge and Dining rooms have bay windows, offering spectacular views down the valley and out to sea. There are two twin bedrooms and a bathroom on the ground floor. The lower ground floor has the third bedroom with bunk beds, and also the Games Room, with table tennis, darts and assorted games. Dine and relax on the lawn, enjoying the beautiful views and peaceful setting of Headlands. Whether you're looking for a relaxing break or action packed adventure, South Devon is full of activities and attractions. 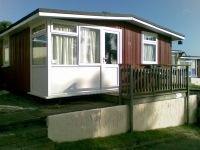 Privately owned Baichal Chalets & Villa are situated within the popular Welcome Family Holiday Park in Dawlish Warren. A selection of 6 high quality chalets and villa, which are annually inspected by Visit Britain. Baichal gives you the finest choices for a self catering holiday in the South West. Western House is an elegant and spacious 1820s mansion set in its own beautiful gardens and grounds in the Devon countryside at Highweek, just outside of Newton Abbot offering luxury self-catering accommodation, leisure facilities and gourmet catering for up to 25 guests.